The plot of Claudine Dumont’s debut novel, Captive, is fast-moving. We’re given just a glimpse of the protagonist’s, Emma’s, life before she’s ripped out of it. “I’m afraid of the dark. That’s what happens when I drink too much. And I drink too much. Often. And for some time now, even on weeknights. I can’t get to sleep without it. I can’t forget the empty box of my life without it.” Everything that follows depends on readers’ acceptance of what Emma’s words imply – that what came before was worse. That up until this point Emma has only gone through the motions of living. Because after three pages everything changes . Emma is kidnapped from her apartment and drugged. Two pages later she wakes up alone, in a locked, gray room. There are no windows and no furnishings other than a mattress on the floor. No food or water. She’s been both washed and dressed, but she has no idea who took her or why. During a panic attack she blacks out. Short chapters and sentences are Dumont’s forte. It’s a bit unnerving how quickly Emma grows accustomed to her new home. Pitchers of water appear which she suspects are the vehicle by which they (her captors) are drugging her. She still drinks. Her acceptance of and complacency about her circumstances is both frustrating and comforting. Emma’s life in the outside world was no life at all, remember? She used alcohol to insulate herself and in her captivity, strange it may seem, she has found the perfect substitute for tequila. And then everything changes again. Emma wakes up to find she has a roommate. They become subjects in a series of experiments. The suspense ramps up chapter by chapter. As far as quick reads go, Captive can’t be beat – it’s as easily digestible as an episode from The Twilight Zone or Black Mirror. The pacing is perfect. Emma’s narrative voice and her reactions, though unusual, are plausible. It’s easy for the reader to buy into the bizarre premise on which this strange little novella is based. Everything in the pages of Captive works. Dumont is a good writer and David Scott Hamilton’s translation captures the urgency of the story. If it has a weakness, it is the parameters Dumont set for herself are too small, too confining. There’s more to this story. Captive is the second act in a three act play, and I’d like to be allowed to it through the entire performance. 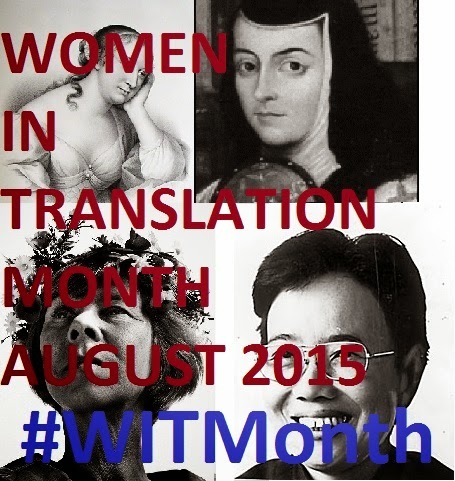 Welcome to Women In Translation Month 2017! August seemed like the perfect time to start the blog back up again, so until the end of the month I’ll be featuring reviews of translated books by women writers. The compassion Yoko Ogawa shows her protagonists, despite their flaws, consistently surprises me. These three early novellas – and novella seems a bit of a grandiose term for what are, essentially, three unrelated short stories – each feature a first person, female narrator. They are collected under the title: The Diving Pool, which is also the title of the first novella. The three women, aging from early teens to mid-thirties, are not the most likeable of characters. In fact, much of what we learn about them seems designed to repulse us. Ogawa has an affinity for the first person narrator. Like her 2013 book of short stories, Revenge: Eleven Dark Tales – The Diving Pool exclusively uses the “I” perspective. The writing is disturbingly confessional in tone. Taken together, these two characteristics make it tempting to classify Ogawa’s work as part of the Japanese I-Novel tradition. * Ogawa’s protagonists disclose their darkest secrets to the reader. They reveal shameful actions, though not always the motivations behind them. They are perhaps the most reliable of narrators in that they tell us things we don’t wish to hear. The Diving Pool is, in my opinion, the strongest of the three novellas. It’s also the most difficult to summarize. The narrator, a teenage girl, grows up neglected by her parents as they tend to the needs of the many foster children they have taken into their home – an orphanage called The Lighthouse. Lonely and increasingly isolated, she develops a crush on one of her foster brothers and secretly spends her afternoons at the swimming pool watching him practice his diving. If this were another writer I’d say that the situation escalates, but “escalation” is too aggressive a word to apply to Ogawa. The girl does a terrible thing; in truth has a history of doing terrible things. The story is a perfect coalescing of the themes which obsess Ogawa – loneliness, isolation, everyday acts of desperation and cruelty. Then, while she had her back turned, I slipped behind the kitchen door. After a few moments, the dirt on her hands began to bother her again and she dropped the shovel and bucket at her feet and stood staring at her palms. Finally, she turned for help toward the spot where I should have been sitting. As it dawned on her that I wasn’t there, that she’d been left alone, she began crying in earnest. Her sobs were violent, seemingly about to rupture inside her, and they were satisfying my cruel urge. I wanted her to cry even harder, and everything seemed perfectly arranged: no one would come to pick her up, I would be able to listen to my heart’s content, and she was too young to tell anyone afterward. I stopped reading and put this book away for 6 months after finishing The Diving Pool. “There’s one thing I forgot to mention,” I said, finally bringing up the subject that had been on my mind all day. My cousin turned to look at me, waiting expectantly for me to continue. “The Manager is missing one leg and both arms.” There was a short silence. “One leg and both arms,” he repeated at last. “That’s for sure,” my cousin said, looking down as he kicked a pebble. “I see what you mean,” my cousin said, kicking another pebble. Her cousin moves into the dormitory, in fact seems to be the only student staying there, and through him the narrator also renews her acquaintance with the dormitory manager. A strange friendship forms between them, the narrator and Manager. Through a series of visits a semblance of a plot begins to emerge – but Dormitory seems more of an exercise in atmosphere and sensory exploration. Like many of Ogawa’s stories it is incredibly cinematic. She layers sound, visual images, dialogue, even cuts in and out of scenes. It’s easy to imagine Dormitory being made into a short, noir-style film… perhaps by a student film-maker. The final image is profoundly haunting, – and this in a story filled with haunting imagery. Pregnancy Diary, actually the second in order of appearance, is structured pretty much as the title implies. A woman, living with her sister and her sister’s husband, begins keeping a diary to track her sister’s pregnancy. As the weeks progress it becomes increasingly clear that something is not right here… though I could never quite put my finger on what. Unapologetically, Ogawa puts her damaged characters on the page and confronts us with their actions, using the first person perspective like a weapon to force our complicity. By exposing these women so completely it would be easy to think she didn’t care, but there is a definite protectiveness to her portrayals. She doesn’t hold them up for judgement, in fact I’d say it is just the opposite. She treats them with gentleness and dignity – handling them more carefully than she does her readers. There is also a visceral quality to her writing which reminds me of Naja Marie Aidt (who I’ll be reviewing next week) and other women writers I admire. 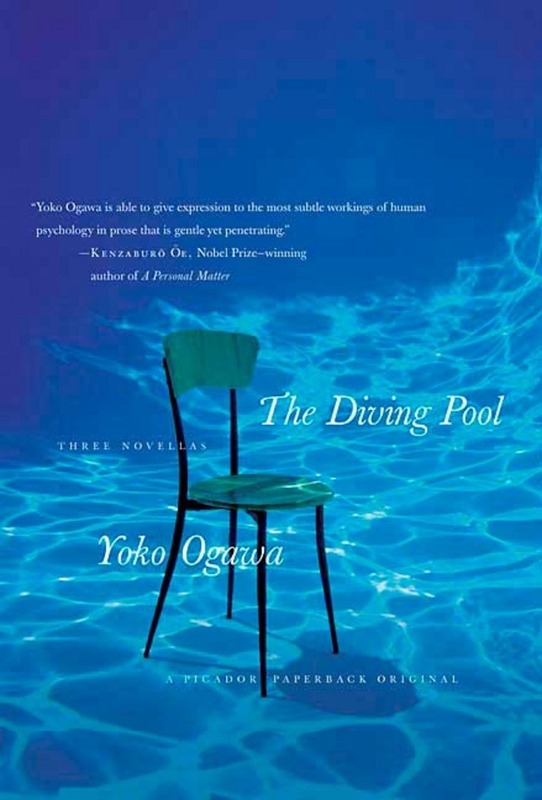 Physical cruelty, the emotionally abhorrent, the grotesque – Yoko Ogawa’s writing doesn’t shy away from the less attractive aspects of biology or human nature. *As far as I know, and my understanding of the Japanese I-Novel has never been very good, the I- or True Novel genre requires an autobiographical narrative. So in A True Novel by Minae Mizumura the author places herself into the story as a character and as part of the framing device. Ogawa, again as far as I know, never places herself into her narratives. Though her narrators for the most part remain unnamed. Is Sappho, who composed her poems c. 630-570 B.C., the earliest woman to have her work was translated into English? She was much admired in antiquity, the woman whom Plato called “the tenth muse”, but notwithstanding the immensity of her reputation very little of her work has survived intact. There are reasons for this and scholars who are more qualified to speak on the subject than I am. Enough to say that what do exist are fragments of the original poems preserved on bits of decaying papyrus. These surviving pieces are beautiful even in (and sometimes because of) their incomplete state…. and tantalize us with what they do and do not reveal. What results is a surprisingly modern form of poetry. tying stems of anise together in your soft hands. and turn away from those without a crown. Reading the truncated succinctness of the first three incomplete lines, followed by the fullness of the final four, is a voluptuous pleasure that must exist separately from the original verse Sappho would have sung. Perhaps what surprises most is the loveliness of the left hand page, an area most monolingual readers tend to ignore, believing it the territory of scholars who might want to compare the original to the translation. In this case the Greek characters, to which Carson has also applied her brackets, have a visual beauty. They appear romantic and exotic, evoking the Mytilene island of Lesbos where Sappho lived and composed. Anne Carson is an accomplished poet in her own right, in conjunction to being a skilled translator. She is also a woman (to state the obvious) – which is relevant because the feminine voice is the essence of all Sappho’s poetry. So if in some places she has taken liberties in how the lines are formatted on the page, creating spacing and indentations where none existed in the Greek, it is because her knowledge of modern poetry – of the works of poets such as e.e. cummings and Emily Dickinson – informs her translation. This does not necessarily put Carson at odds with the antiquity of the source text since no one is even sure that Sappho was, herself, literate. Her poetry was sang, accompanied by a variety of musical instruments and most of what has come down to us are transcriptions made by others after her death. 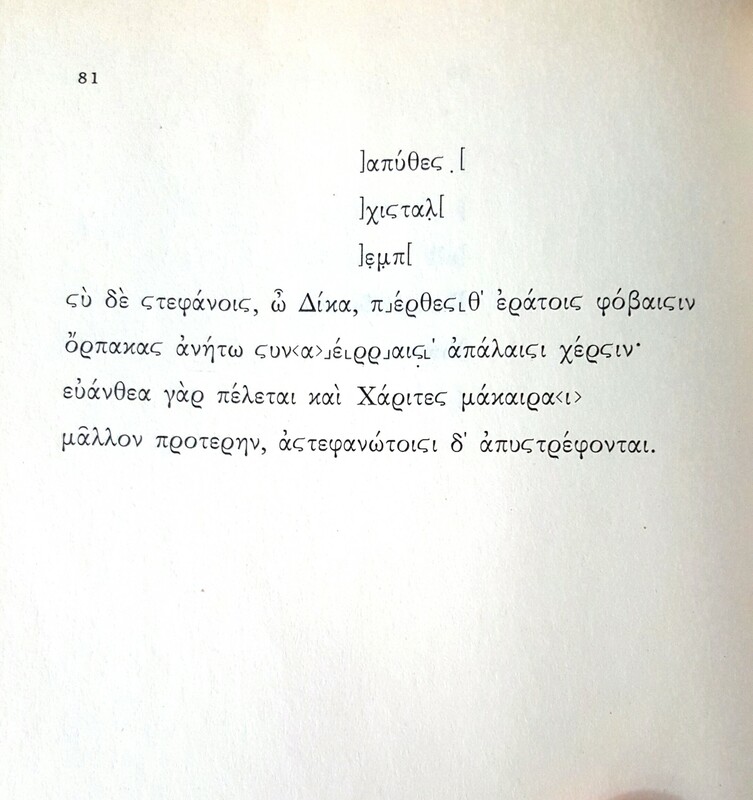 Each poem and fragment in the collection is numbered – using the same numbers/numerical system as the one used by Greek scholars. This means that Fragment 81, for example, is always the same (notwithstanding differences in translations) across texts. These fragments range from almost complete poems (Nos. 1, 2, 3, 5 & 31); to series of seemingly random words; to single lines which float at the top of a page – “and I on a soft pillow will lay down my limbs”. Fragment 38 consists of only three words – “you burn me”. While it might seem useless reading these words, stranded without context – it is that very lack of context which makes them seem powerful. True their power will inevitably be diminished as new words and lines are discovered and “you burn me” is again imbedded among the other, more relevant, lyrics. But reading Sappho is a rather like a high-stakes game of Mad Libs, something Carson seems to understand. Over time this reader of Sappho has found herself becoming a collector of words and phrases as new information, new fragments, are uncovered. Often in the most obscure places – ancient rubbish heaps or scraps of papyrus that was used in the wrappings of Egyptian mummies. In 2005 the Times Literary Supplement published a more complete version of Fragment No. 58 than what was available to Carson in 2002. The discovery of a new papyrus magically allowed us to fill in the blanks, completing almost the entire poem. Two more poems were found in 2014 (“New Poems By Sappho” TLS, 5 February 2014). The first poem was not entirely unknown to scholars, its existence had been mentioned by the ancient Greek historian Herodotus in his writings. What has become known as “The Brothers Poem” is missing only a few words. The second find was yet another short fragment consisting of approximate five, more or less, complete lines. 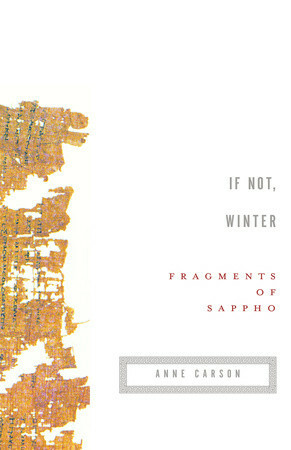 Each of these new discoveries is a revelation that fills in more of the negative space surrounding Sappho’s work, and causes those seemingly innocuous brackets in If Not, Winter to take on a new significance. “…Brackets imply a free space of imaginal adventure” Anne Carson wrote in 2002. That implication has since become a promise. Karolina Ferreira, is a lepidopterist staying in the town of Voorspoed – a place she’d visited as a child with her father. Free State is one of nine South African provinces. The terrain consists of grasslands, large agricultural tracts and mountains. It’s considered the “breadbasket” or “granary” of South Africa. 2.8 million people live there, the 87% majority of whom are black Africans. The primary language is Sesotho, a Bantu language. Afrikaans is spoken by the white minority. Voorspoed is home to a diamond mine owned by the De Beers family. None of this is stated in the novel, but the clues are everywhere. Winterbach is describing a place and, in the process of doing that, telling a story. Karolina is in Voorspoed to study a rare species of moth. She spends most of her day in the veld with her companion, Basil. Him collecting plants and her studying insects. Their evenings are spent in town observing the locals – particularly the Afrikaner community that gathers at the hotel to drink, socialize and play snooker. She studies them with the same clinical intensity as the insects. It’s difficult not to get caught up in the routine of Karolina’s days. Mornings in the veld, evenings that begin in the Ladies Bar and end in the billiards room. Afternoons she has lunch in the hotel’s dining room beneath murals that depict the history of the region. On Saturdays she goes dancing. Occasionally events interrupt the pattern – a controversial play is performed, tourists arrive, lovers are observed in a cemetery, protests lead to violence in the black settlements, murder, a suicide – but by the next day everything resets. The plot, in this sense, is simplistic. The bumps – the interruptions to the town’s routine – are what imbue the story with unexpected richness and texture. Karolina is always watching from the edges, never at the center, and seldom privy to the inner thoughts or motivations of the key players. The man sat on the opened-out back flap of the police vehicle. He was covered with a blanket that was wrapped tightly around his shoulders. He seemed to be wearing nothing underneath it but a vest and a pair of trousers. Even though it was a warm night, his teeth were chattering, which made it difficult for him to speak coherently. He had been given a warm drink, for now and again he swallowed some liquid from the cap of a flask. Two black women stood a little apart from the rest, one draped in a blanket, occasionally weeping quietly into a corner of it. Kieliemann spoke for the police. Although he seemed impatient, he was allowing the man to tell his story without interruption. The scene resembled a photograph – the action frozen, white and black equally stark in the unnatural yellow light. Karolina stood at some distance, making sure that Kieliemann did not see her.The yellow light penetrated everywhere, eclipsing even the bountiful light of the night sky, etching the scene in hellish desolation. The next day Karolina will ask questions and try to understand what she has seen. But her outsider status limits her. The Elusive Moth is narrated in the close third person, keeping readers at an arms length from Karolina and creating another layer between them and the action. The writing is dense and self-conscious – in some places a little fussy (particularly when Karolina’s love interest, a dharma bum named Jess, is in a scene). 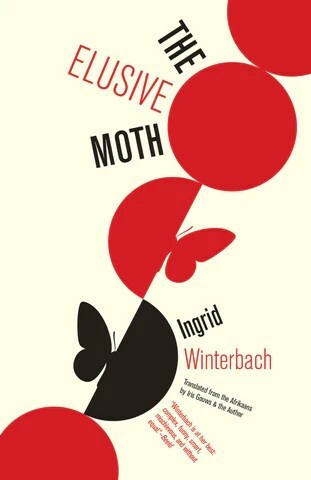 The structure of the novel is based on the repetition and patterns, and Winterbach sometimes extends that repetition to her characterizations. One lecherous police officer is always described as having a bulge in his pants when Karolina is around; another character is “aquatic” and shudders (both verbally and physically) incessantly; a friend of Jess’ never seems to be without a smirk on his face and a bottle in his hand. The effect is that the supporting characters become two dimensional. It feels like a flaw, but in truth I only noticed it when I was away from the book. Here it works, where in another book it might not. Except that’s not entirely right. There’s a passage towards the end of the book. Like most everything else that occurs in The Elusive Moth, it’s unobtrusively inserted into the narrative. Karolina and Jess go away for the weekend. They travel to a nearby town. You’re left with the sense that across Free State (perhaps across South Africa) there are dozens of towns like Voorsoed. Inhabited by people going about their lives, behaving in ways identical to the characters we’ve just met. The same diversions, the same dramas, the same patterns are being repeated.